We have settled on our Nucleus Colony workshop dates for 2019! Workshops will run April thru July, the first Saturday of the Month, starting at 10am. 2019 WORKSHOP DATES: April 6th, May 4th, June 1st, July 6th. Registration not required but RSVP appreciated, allowing us to properly prepare for our crowd. Workshops will bee held at the Swarmbustin' Honey Bee Farm, address is 190 Thouron road, West Grove, PA 19390. By collaborating let's approach self-sustaining beekeeping! Will contain 4-5 DEEPframes, a laying Queen, 2-3 frames of brood, an ample population of bees, and adequate food stores. This is considered one Nuc. 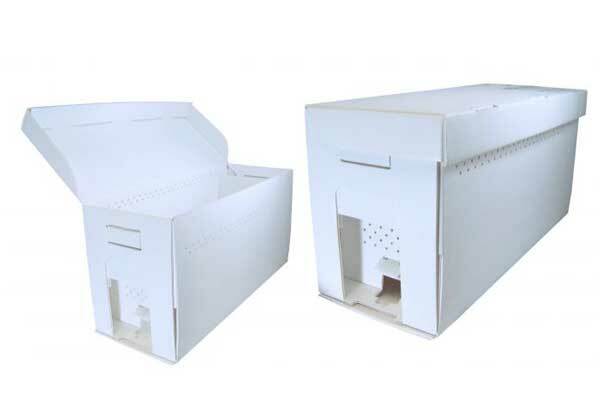 Our First Offering of Nucs, available Early April, will likely bee 5-frame in cardboard boxes. We will split our overwintered colonies as soon as the weather supports the re-emergence of a solid drone population. This Second Offering will bee 4-frame Nucs in our wooden boxes which house 2 Nucs (pictured top right). Singles possible, yet tending a minimum of 2 colonies supports self-sustaining beekeeping. To reserve your Nucs, we need only your vitals; name, email address if available, telephone #, and the quantity of Nucs needed. Need not any $ now. Payment expected when picking up your Nucs, CASH or check payable to Swarmbustin' Honey. Nucs picked up in our wooden boxes require a $50/Box deposit A separate check for deposit bee best, held until boxes are returned. If interested, wooden Nuc boxes can bee purchased for $75, prepping you to make splits in your apiary later in the season. We will bee conducting 4 workshops in 2019. Xact dates TBD, yet they will bee on a Saturday, April thru July. Our informal workshops bee free to those on our Nuc lists, and focus upon the bees needs in the upcoming month. We will bee breaking into smaller groups according to xperience and interest, and the Swarmbustin’ crew will illustrate various techniques employed in assisting with their needs. We encourage Q&A, are fond of other approaches to this Art and Adventure beeing shared with the group, & delight in collaborating towards self-sustaining beekeeping with your bees, in our operation, and regionally. Email Preferred – swarmbuster@911honey.com or Landline 610-384-2384. We have True to Bee Pollen Patties, which, along with the other proteins, contains 8% Bee Pollen, harvested in May '17' from our colonies, inverted Sucrose for binding and Honey Bee Healthy, Cinnamon and Garlic for Good Health. Having improved the industry's top Bee Feed, we truly beelieve these True To Bee Pollen Patties to bee superior to any which are commercially available. A Word of Caution, courtesy of Glenn Crimbring, retired Northern Pennsylvania Bee Inspector, "When feeding your bees well, Have the equipment ready!" We are currently marketing our True to Bee Pollen Patties in bulk, containers holding 2,3, or 5#’s. We will supply bags which will hold ¾#, along with the Patties. Quantities 30#’s or over will bee in 5 gallon pails, also with enough bags for you to fill. in the Spring & Summer of 2019!